Shahid Kapoor Won’t Be A Part Of IIFA 2018- Here’s Why! With two days left for the International Indian Film Academy (IIFA) Awards, the line up of stars performing at the ceremony is getting bleaker. After Vaani Kapoor, Padmaavat star Shahid Kapoor has bowed out of IIFA 2018 too. He was all set for a power-packed performance at the Bangkok event. However, that will not happen anymore because of a back injury he sustained during the shooting of Batti Gul Meter Chalu. Shahid, who was recuperating from the injury he sustained during the shooting of Batti Gul Meter Chalu, was rehearsing for his performance at IIFA. Unfortunately, during one of the rehearsals, he ended up with an acute muscle spasm. So the doctor advised the actor to return to Mumbai and rest. With none of the three Khans in IIFA, Ranbir Kapoor, Varun Dhawan and Alia Bhatt are expected to glam up the event. Rekha too is scheduled to perform on stage after two decades. Coming back to Shahid Kapoor, looks like he will utilise the unplanned break to spend quality time with pregnant wife Mira and daughter Misha. He is almost done with Batti Gul Meter Chalu alongside Yami Gautam post which, he will start his work on Arjun Reddy remake. Batti Gul Meter Chalu was slated to release on August 31, 2018, but may now get delayed to September 2018 release. Here’s wishing a speedy recovery to Shahid! Priyanka Chopra Danced On ‘Desi Girl’ For Nick Jonas At Their Engagement Bash! This Ex-contestant of Splitsvilla X is dating this Cute boy! Previous story Really! 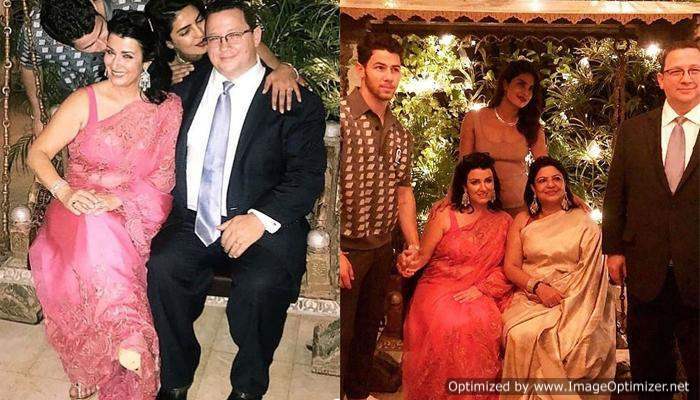 Nick And Priyanka Are Moving In Together- Read INSIDE!